Beachfront Properties – Offer More than Just the Views…. 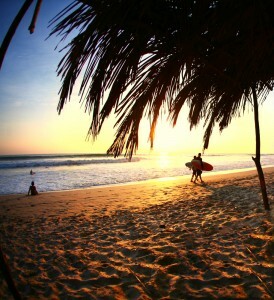 Costa Rica offers an irresistible coastline and great prices on beachfront real estate. It’s no secret that having a front row seat on the ocean and beach area is a huge investment feature. But you may not realize that Costa Rica offers so much more than just beachfront and ocean view real estate. The Central American country also has rainforest, mountains and diverse geographic features. Many of the Costa Rica Beachfront real estate properties also offer attractive features such as un-chartered rainforest. How many other beachfront real estate areas can promote that they also come with virgin rain forested areas and / or are close in to ecological parks that have been set aside for preservation, recreation and pure enjoyment. Unlike the northern parts of the country, the Southern Pacific Zone is a tropical paradise. When you see beautiful photos of the country with lush jungle coves and gorgeous sands you are usually viewing a photo from the southern zone areas. In fact, many of the northern regions are classified as an arid desert environment. Dominical Real Estate sells Costa Rica real estate properties throughout the Southern Pacific Zone. We cover the areas of Dominical, Uvita, Ojochal, Hatillo, Playa Matapalo, Platanillo, Tinamastes, San Isidro, Manuel Antonio, and Pavones. 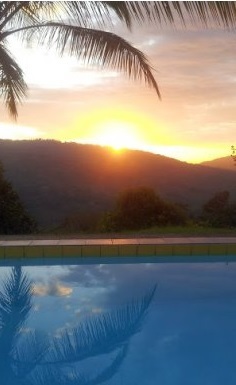 We also feature Dominical Costa Rica rentals available for rent as well. We are a full service Costa Rica real estate firm, owned and operated by someone who probably like you, desired to live in the world class surfing paradise of Costa Rica and decided to make the leap. A great thing about the Costa Rica real estate beachfront properties that we list is the endless amenities that come with the homes and villas. Think private infinity pools, eco environmentally friendly home features, private gardens and orchards, complete outdoor kitchens, and secluded estate residences and villas. That’s what you will find when you look through our properties. 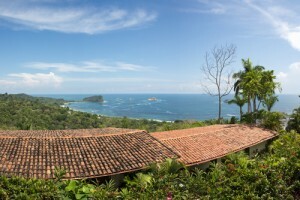 Here are some fantastic beachfront Costa Rica real estate opportunities. One of the draws of the country is that you can still buy an established home on the beach for much lower prices than a comparable home in Florida or California. A condo near the beach may cost $40,000 in a less developed area, up to $150,000 in a more developed beachfront zone, and up to $500,000 for a beachfront condo right in popular, well-developed tourist destinations. Homes on the beach start at around $100,000, with homes on the Pacific coast generally more expensive than homes on the Caribbean. Are you an investor seeking land to develop with building site opportunities? We would love to speak with you. Click to send us a message. Costa Rica is a developers dream. There are several tracts of buildable prime, Dominical Costa Rica real estate available, SEVERAL that have been approved for various development endeavors, hotels, and shopping centers. Farmland and ranches with abundant acreage are available throughout the Southern Pacific Zone of Costa Rica. Its lush landscapes and great climate for growing a variety of crops. Whether you desire to grow your own food, cultivating the land for crops, or are just searching for large tracts of Costa Rica acreage for sale to build upon, there are many listings of Costa Rica real estate with tons of great use-able acreage. A large amount of these farm land listings also have magnificent views of the ocean in the distance! You can find farm land Costa Rica real estate for sale in all the areas of the southern zone. It’s not hard to find a listing of more than 50 or even 100 acres of land for sale. Historically and still today, agriculture has played a large role in Costa Rica’s economy and gross domestic product. An array of crops can be grown here because of the country’s diverse climate. You’ll find that bananas, pineapples, coconut, coffee, sugar, rice, vegetables, tropical fruits, corn, and potatoes are the top exports, but rice, advocados, palm kernals and oil have all been grown and harvested here. 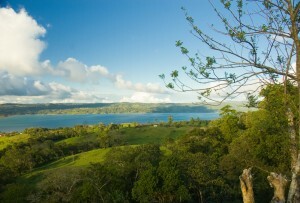 Buy Costa Rica real estate and enjoy a green and sustainable lifestyle. Many communities and ranch lands come with mature fruit and nut trees and the land is wonderfully lush for growing your own crops for food. Or, if you desire to build a retreat or develop a resort area, there are several plots that are large enough for building hotels and other commercial investments. We feature the best properties in Costa Rica’s southern Pacific zone. If you are searching for the perfect mountain property in Costa Rica, we would love the opportunity to assist you. We provide you with the tools and information to find a house, getaway, ranch, or commercial Costa Rica real estate in the most beautiful areas of the country. Invest in real estate in Costa Rica’s Platanillo area. Just 15 minutes from Playa Domincal and about 30 minutes from San Isidro is a little mountain town with great paved roads and some wonderful Costa Rica home and property options. Platanillo’s main draw is its mountain climate and expansive farm lands. Residents are a mix of locals and expats from the United States, Canada and European countries. The elevation ranges from 1,200 to 1,600 feet and provides cooler evening temps, making the need for air conditioning almost non-existent for most. The refreshing daytime temps are cooler than the temps in areas at the beach. Many properties feature amazing commercial and investment opportunities such as a hotel with 2 pools, restaurant and 17 rooms for sale for less than a million U.S. dollars. You can also find large tracts of farm land here in these mountains. Take a look at one property with 348 acres of Costa Rica ranch land for sale, or 63 acres of Costa Rica Real Estate with build-able areas and river frontage. Many of the Platanillo Costa Rica real estate properties also feature ocean views or views of magnificent waterfalls. Considering Buying a Home in Costa Rica? When one thinks of Costa Rica one word should come to mind; amazing! Costa Rica has been proclaimed by many to be the Switzerland of the Americas with regards to its gorgeous mountain ranges that form the backbone of the country. Its shores and beaches have been hailed as some of the best surfing in the world. Combine these with the country’s rich biodiversity and picturesque scenery and throw in the amazing progressive programs that entice tourists and investors alike, and what you have is a formula for paradise. Expats and investors love Costa Rica for its beauty, lifestyle and affordability. Costa Rica is fortunate to have a lower cost of living than the United States and Canada and this makes real estate prices for ocean view and beachfront properties exceptional. With as many as 3.3 million American baby boomers planning to retire abroad and live the ‘pura vida’, we wanted to provide some helpful insights on buying a home in Costa Rica. Buying a home in Costa Rica has never been easier. Our Costa Rica real estate firm can offer sound advice and help you navigate the process of buying a home in this beautiful country. We are based in Dominical but having lived here for many years, we know all about the various locales, new developments and the overall direction an area is going. We can help you find your dream home in Costa Rica to enjoy during retirement. The first step is to decide about location. It’s all about the location. This country has it all. Everything from mountainous terrain, jungle properties and beachside real estate listings can be found here. Consider the access points and closeness to cities and airports such as San Jose International Airport in the country’s capital, Liberia International Airport in the northern region, and Palma Sur in the country’s southern zone. We would love the opportunity to show you Costa Rica real estate listings in Dominical, Playa Dominical beach, and wonderful investment opportunities throughout Bahía Ballena de Oro and the southern zone including Uvita and Ojochal. We specialize in offering listings of Costa Rica properties in these locales: Dominical, Uvita, Ojochal, Hatillo, Playa Matapalo, Platanillo, Tinamastes, San Isidro, Manuel Antonio, and Pavones. It’s no secret that Costa Rica houses built a few decades ago are very much different from the beautiful Costa Rica houses being built today in locales like Dominical, Uvita and Manuel Antonio. Construction costs are definitely higher, but the demand for amenities and better materials have driven the market to produce a better quality home. That said, luxury homes in Costa Rica cost far less than luxury homes in locales stateside such as Miami and Boca Raton, and you get quite a bit more natural beauty for you bucks. This is what makes Costa Rica such an amazing place to invest in. You can get gorgeous quality homes, with pools, spas and rain showers for far less than you will find in most other tropical beach locales that are known for tourism, surfing and beaches. Homes built just a few decades ago were likely concrete block type constructions. Now we are seeing homes being custom built with drywall. Kitchens are much improved with hot water, granite countertops and marble. Bathrooms are vastly improved with gorgeous custom tiling that is installed floor to ceiling and many include frameless showers and specialized doors that include lookouts to make the most of the property’s surroundings. Some showers are even double occupancy and Rain shower stalls are hugely popular as well. Ceilings have gone up just as prices have gone up and where past homes were built with 8 feet high ceilings, today’s Costa Rica new homes for sale are designed with higher ceilings that go up to even 12 feet! Many homes now come with top of the line appliances including stainless steel and special sinks, faucets and garbage disposal. Homes with luxury amenities here are still far less costly than luxury homes you will find in the United States or Canada, and the cost of living is much lower here making Costa Rica the ideal paradise to retire to or invest in beach property. Let us show you properties in Costa Rica that meet your desires and needs. We feature budget friendly Costa Rica condos and Costa Rica Homes for Sale in a variety of communities and locales. We have extensive knowledge in the Costa Rica real estate markets and how to best invest your money if you wish to relocate, retire, or invest in property Costa Rica. Click to view listings in Dominical, Uvita, and other famous spots in the country. We would be glad to help you if you are new to buying real estate in Costa Rica. There are many factors to consider and I have lived here full time since 2005. You may call my cell at 011 506 8861 2714 or email me directly at info@costaricarealestate.net. I’d be glad to answer your questions about real estate in Costa Rica and what to expect. Most all properties in our listings are titled. Known for being a little slice of mountain heaven, Platanillo is a peaceful mountain town located about 20 minutes from Playa Dominical. The roads are excellent and the affordability of this locale makes it a favorite among expats from the United States, Canada and European countries. It’s a nice, harmonious mix of diverse culture. The mountains elevation vary between 1,200 feet and 1,600 feet providing remarkable views of the beach and a nice breeze. Many Platanillo real estate Costa Rica homes are perfect with A/C. The closest city, San Isidro is only a short distance away, taking only about 30 minutes to reach and the beach at Platanillo is very easy to reach. Click to search for homes for sale Costa Rica that are in Platanillo. We feature many different ways to search for the type of Costa Rica property you are looking for. This mountain town is full of conveniences including two larger sized super markets, a few local eateries and some local shops where you will also find a village butcher. Just look at the picture to the right, taken of one of the Platanillo Homes for sale Costa Rica properties that we list. Amazing sunsets, cool breezes and plenty of adventure await you. If you are searching for Costa Rica properties in Dominical / Playa Dominical or Uvita, click over to our Costa Rica real estate mls listings. We feature all types of properties including Costa Rica villas for sale, luxury homes with more state of the art amenities and customizations than can be listed. We also feature a great deal of properties with commercial potential – great for investors! Let us help you make your dreams of living or owning property in Costa Rica a reality. Give us a call to discuss how to buy Costa Rica real estate. Uvita is a charming little village located in southern Costa Rica on the Pacific just 17 km south of Dominical. Known for its quiet, clean beaches and Marino Ballena National Park, Uvita is a special place with rain forested mountains and Pacific Ocean views. The village is home to humpback whales at various parts of the year and you can watch them frolic in the waters just off-shore. The beaches are secluded and in pristine condition. If you are searching for Costa Rica Investment Property that has been left mostly untouched by the tourist boom, Uvita Costa Rica Real Estate listings are a great place to begin looking. The village has hosted the Envision Festival the past few years and has proven to be a fantastic venue with its farms and tiny shops left mostly untouched. Visitors to the area LOVE the surfing and exploring the trails that lead to waterfalls such as Santa Lucia falls. Uvita Real Estate has been described as the ‘Garden of Eden’ on the southern side of Costa Rica and the opportunities for business abound here. 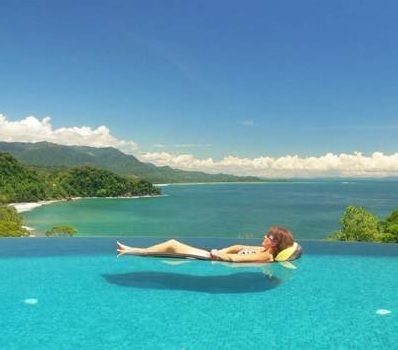 We feature some amazingly great opportunities to Buy Costa Rica Real Estate including Costa Rica Condos for Sale in Uvita at Play Hermosa including oceanfront elegant Costa Rica Villas for Sale. 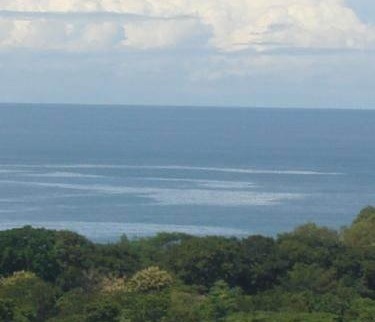 There are many commercial properties available including an epic 12.5 acre ocean view Costa Rica property with waterfalls that would be a perfect hotel / retreat and it includes an infinity pool! Click here to view the details for this amazing Costa Rica Investment Property. 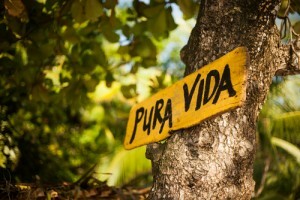 Trying to find Costa Rica beachfront real estate on the quiet beaches of Uvita? We feature a fantastic Costa Rica property deal that is just 200 meters from the beach for just $325,000 and a waterfall Costa Rica property that has an ocean view for less than $300,000! Looking for green Costa Rica homes for sale? Check out this $279,000 home in the center of Uvita Costa Rica with solar panels already tied to the grid! You can find these properties and more in our Costa Rica real estate listings or contact Saul at 011-506-8861-2714 or if you are in the U.S. call 310-929-5122.